Random modulation mode in sinewave panel. Fixed crashes when running on iPad. Fixed routing problems when connecting/disconnecting headset. Fixed audio breakups after incoming call interruptions. The aardvark synth is a virtual analog synthesizer with a unique multi-touch interface that lets you control modulators, envelopes, and other settings simultaneously. 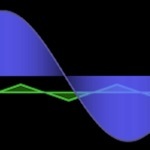 The waveform display changes in real-time as you tweak synth parameters. 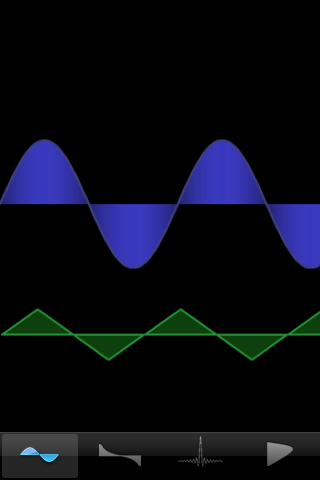 You can choose among four waveform modes (sine, sawtooth, pulse, and noise). In general, the 1st touch controls the carrier oscillator, the 2nd touch controls the modulating oscillator, and the 3rd touch controls the envelope. 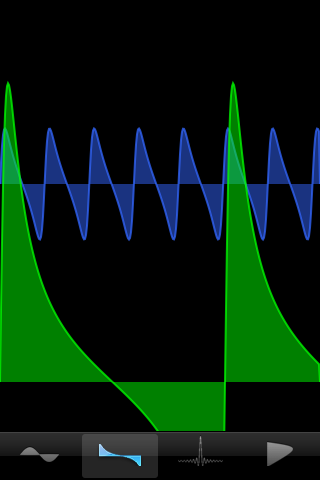 The pulse wave mode includes a delay effect and the white noise mode includes a bandpass filter. You can use up to three simultaneous touches. After multiple touches have started, you can lift other fingers to focus on a specific touch. 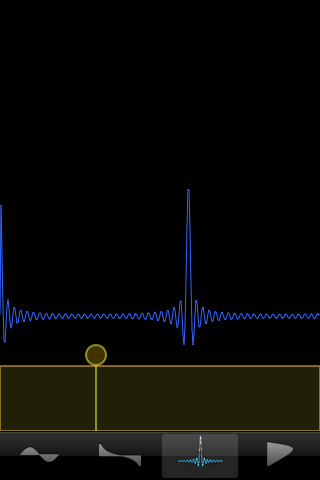 You change the pitch of an oscillator with up and down movement. 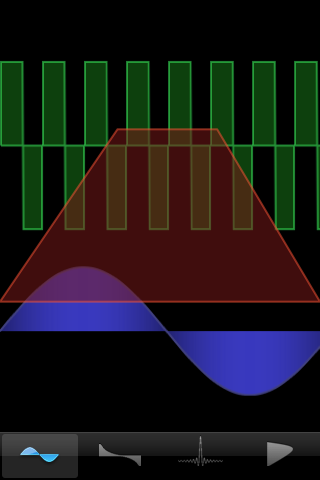 Left and right movement changes either the amount of modulation or the waveform shape, depending on the waveform mode. 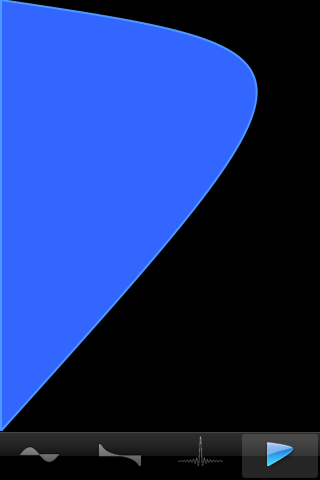 The attack of the envelope is changed by left and right movement. Envelope decay is changed by up and down movement. Drag to the top left corner to turn off the envelope.